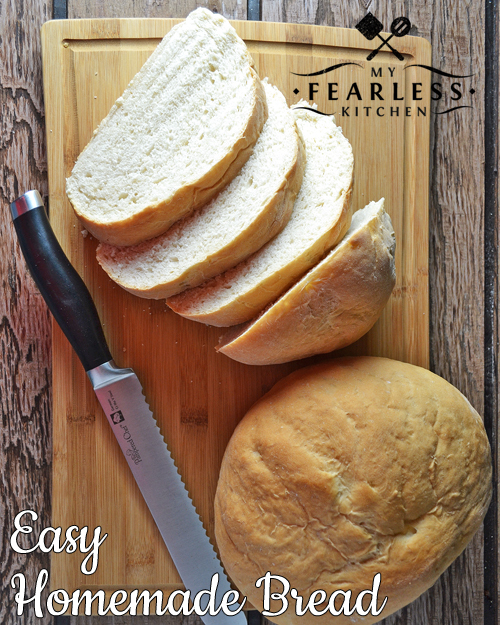 This Easy Homemade Bread recipe is so easy to do, you’ll wonder why you didn’t try it sooner! Serve it with hot soup for the perfect comfort food. I love steamy soups and warm bread to get our family through the chilly winter. Our cows don’t get quite that treatment. We raise beef cows, and these ladies live outside all year long. They do have a shelter where they can get out of the rain, snow, and wind (and out of the sun in the summer). But no matter the weather, they usually prefer to be outside. Winters are tough in southern Indiana. I hate to complain too much. Because it’s not like we have days and days of below-freezing temperatures. But sometimes I think that might be better. Instead, we get a few days below freezing, and then it bounces back up to 50 degrees for a few days. Friday it was 50. Monday it’s supposed to only be 17. Then back up to 40 by next Friday. And all that freezing and thawing means lots of mud. So the girls spend a lot of time in the mud. Their water and hay are up at the top of their pasture, where the drainage should be the best. (It’s also a good spot behind the barn to get out of the wind.) The rest of the pasture slopes down from there, so the water should drain away. But it doesn’t always, especially when the ground gets really saturated like it is right now. 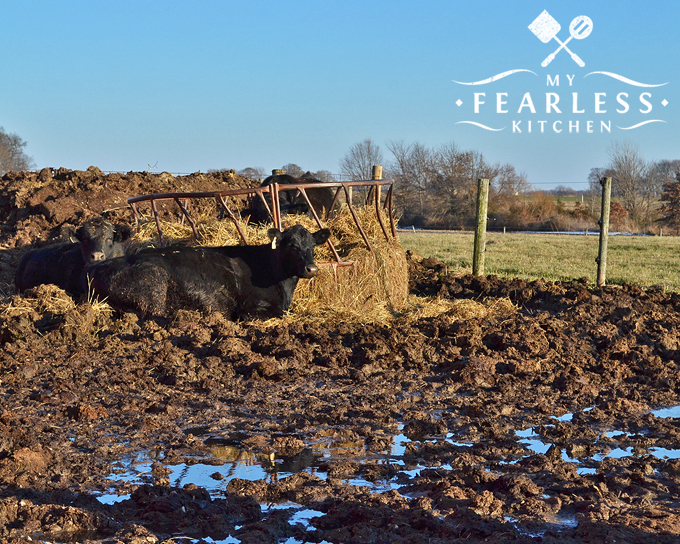 No matter where we put their water and hay, it would be a muddy mess. Because that’s where they spend the most time. 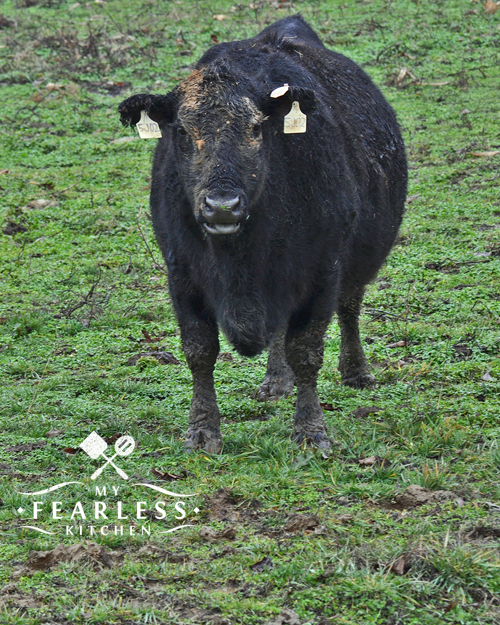 The high traffic areas in any pasture are going to be soft, squishy, and full of cow-size footprints. That means it’s always muddy… until we get a few days in a row of below-freezing temperatures! 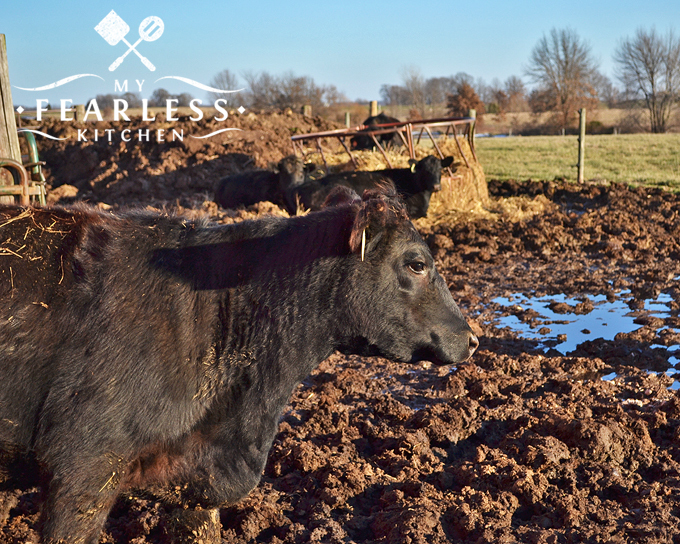 Once the ground is frozen hard, the mud problem goes away… And then it thaws out again. It’s a never-ending cycle around here! But… you came here for an Easy Homemade Bread recipe, and I am going to give you one! This homemade bread recipe is the perfect thing to pair with any soup to stay warm and cozy. (My favorites are this Loaded Potato Soup or this Slow Cooker Ham & Cheese Soup.) It’s also great when it’s still warm and slathered in butter. I know, I know. When you hear “homemade bread” you automatically think “ugh, this is going to be tough, and take forever.” Don’t worry! This one isn’t that difficult (I haven’t messed it up yet! ), it doesn’t take all that long (you can do other things while it’s rising), and it’s John’s favorite thing. Maybe his favorite thing ever. Check your yeast before you get started on this bread. I set my yeast up to “proof” while I’m getting the rest of the ingredients ready. It’s pretty easy, and only takes a few minutes. 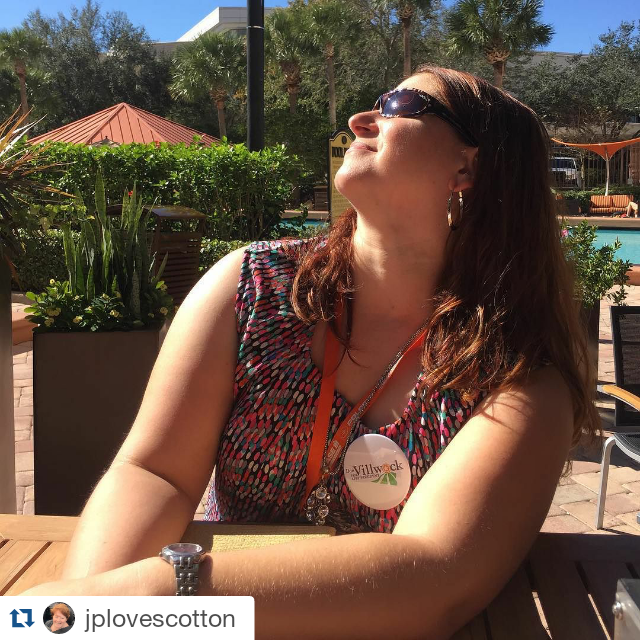 Find out how here. Once the oven is preheated, turn it off. Put the bread dough in a bowl (I just use the bowl from the mixer), cover it loosely with a tea towel, and put it in the warm oven to rise. On the last rise session, leave the dough out of the oven and preheat the oven to 375 degrees. By the time the oven is warm enough to bake, the bread will be just about ready to put in! If you want something even more fun, you can make bread bowls with this recipe, too! 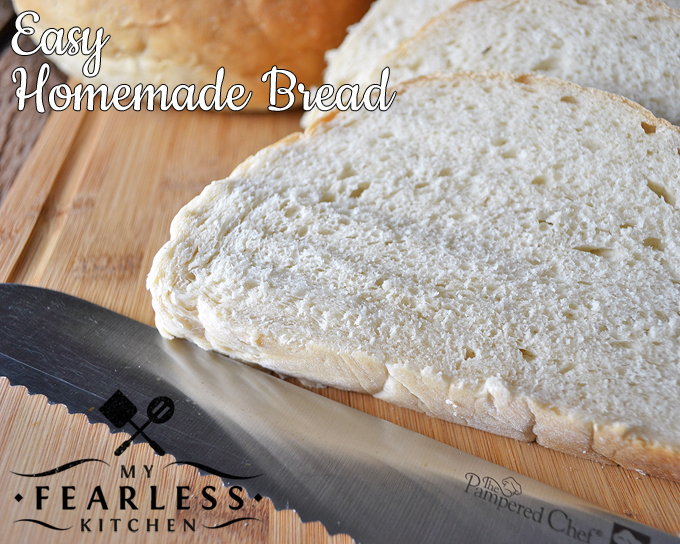 This Easy Homemade Bread recipe is so easy to do, you'll wonder why you didn't try it sooner! Serve it with hot soup for the perfect comfort food. Dissolve the yeast and sugar in the ½ cup warm water and set aside. In an electric mixer with a dough hook, combine 3 cups of flour, 2 cups hot water, the canola oil, and the salt. Mix on low until combined. Add the yeast mixture to the flour mixture and mix until combined. While mixing on low speed, slowly add in the remaining 3 cups of flour, stopping the mixer and scraping down the sides as needed. When the flour is incorporated, turn the dough out on a floured surface and knead until the dough is smooth and not sticky. If the dough is sticky, add a little more flour and knead until just incorporated. Cover, and let rise in a warm place for 15 minutes. Punch dough down and gently knead. Let rise and knead 2 more times. After the third rise and knead, separate the dough into two parts. Shape each part into a loaf and place on a baking sheet. Cover loosely and let rise for 15 minutes more. Bake immediately after rising.